This one hurts. I thought Chris Brown and Soulja Boy were going to fight and now they're not, and I'm sad. 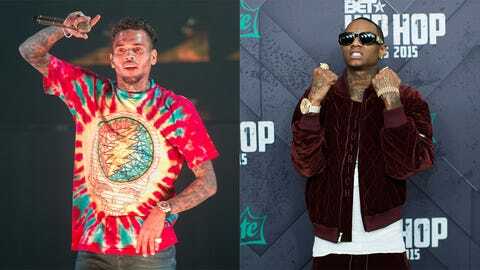 Back in January, Brown challenged Soulja Boy to a fight because Soulja Boy liked an Instagram posted by Karrueche Tran, Brown's ex. Being the Soulja that he is, Soulja Boy accepted the fight and enlisted the services of none other than Floyd Mayweather to be his trainer. Notorious bad boy Brown then countered by hiring fellow bad boy Mike Tyson to be his trainer. Things got really interesting when Tyson promised to teach Brown every dirty trick in the book. The stage was set for one of the more bizarre fights you'll ever see. Many people doubted that this fight would actually take place, but I stayed optimistic in the face of that negativity. Today, their doubts were validated when Soulja Boy tweeted that Brown's manager had reached out to him to tell him the fight is off.